I was just thinking about that quote from The Usual Suspects the other day. It is so true. While reading this, I wondered how much of our cultural knowledge of Satan is based on Milton’s Paradise Lost? Thanks, Jason! The drawing itself is much darker than the photo, the hairspray I set the charcoal with caused some glare. Come see my show in July, this one will be up! It’s interesting how much of our theology is cultural, I have a feeling our understanding of hell is just the tip of the ice burg. A coworker of mine spent several years in the Air Force and grew pretty high in his security clearance. He learned one of the main tactics the government uses to control information and protect their PR is flooding the public with mis-information. I don’t think that’s too far off from the tactics of our enemy. The pathos you conveyed here is quite compelling. Thanks for sharing. Great assessment yourself! I enjoyed reading your writing, and do think that we have a misunderstood thought of hell and of satan. Culture and society has formed our thought instead of the Word of God. I appreciate you writing about tough issues, but issues that need to be addressed to the world. I’ve really enjoyed reading through your recent posts and looking at your drawings. 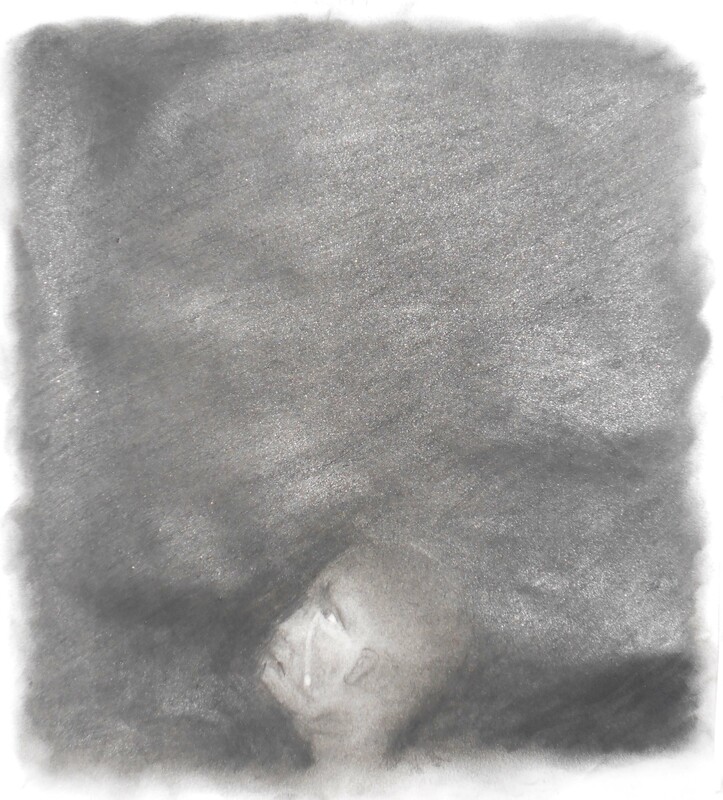 In fact just yesterday, I started working on a new series of drawing myself tentatively titled, “There are some hells that seem worse than Hell.” It’s about people who are feeling despair, much like what you have drawn here, only right here and now. Because sometimes things can get so bad here that they can’t see far enough down the road to know that it could be a lot worse…people who are so filled with despair that they push off any thought about hell because their lives right now seem to be a more painful hell…for them hell and satan are just cartoons. I wish that I could express things as well as you do in writing, but I hope you can tell that this really rings true for me. Thanks!